132 pages | 10 B/W Illus. Civil society participants have voiced concerns that the environmental problems that were the subject of multilateral environmental agreements negotiated during the 1992 Rio processes are not serving to ameliorate global environmental problems. These concerns raise significant questions regarding the utility of negotiating agreements through the UN. This book elucidates the complexity of how participants engage in these negotiations through the various processes that take place under the auspices of the UN—primarily those related to climate and biological diversity. By taking an ethnographic approach and providing concrete examples of how it is that civil society participants engage in making policy, this book develops a robust sense of the implications of the current terrain of policy-making—both for the environment, and for the continued participation of non-state actors in multilateral environmental governance. Using data gathered at actual negotiations, the book develops concepts such as participation and governance beyond theory. The research uses participant observation ethnographic methods to tie the theoretical frameworks to people’s actual activities as policy is generated and contested. 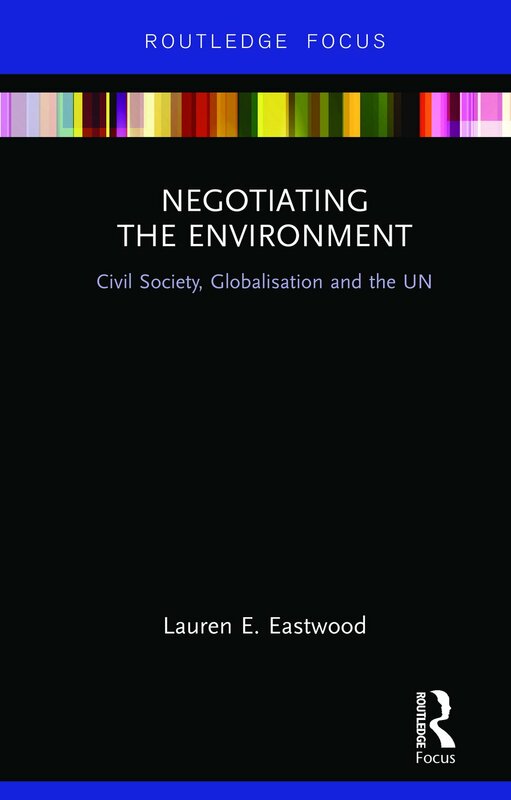 Whereas topics associated with global environmental governance are traditionally addressed in fields such as international relations and political science, this book contributes to developing a richer understanding of the theories using a sociological framework, tying individual activities into larger social relations and shedding light on critical questions associated with transnational civil society and global politics. "Eastwood weaves rich ethnographic data and careful analysis to provide a deep understanding of global policy-making. She takes the reader on a journey into the meeting rooms and hallways of the UN and international climate conferences, through the discursive context and the textual processes that shape global environmental governance. Policy-makers, environmental activists, and anyone else who cares about the present challenges and future of our environment should read this book." -- Nancy Naples, Distinguished Professor of Sociology and Women’s, Gender, and Sexuality Studies, University of Connecticut, USA. Lauren E. Eastwood is Associate Professor in the Department of Sociology at the State University of New York at Plattsburgh, USA.